E. Menard, V. Podzorov, S.H. Hur, A. Gaur, M. Gershenson and J.A. Rogers, “High-Performance n- and p-type Single-crystal Organic Transistors with Free-space Gate Dielectrics,”Advanced Materials, 16(23-24), 2097-2101 (2004). S.-H. Hur, D.-Y. Khang, C. Kocabas, and J.A. Rogers, “Nanotransfer printing by use of noncovalent surface forces: Applications to thin-film transistors that use single-walled carbon nanotube networks and semiconducting polymers,”Applied Physics Letters 85(23), 5730-5732 (2004). C. Kocabas M.A. Meitl, A. Gaur, M. Shim and J.A. Rogers, “Aligned arrays of Single-Walled carbon Nanotubes Generated from Random Networks by Orientationally Selective Laser Ablation,” Nano Letters, 4(12), 2421-2426 (2004). F. Hua, Y. Sun, A. Gaur, M.A. 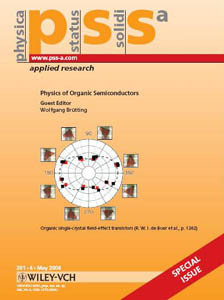 Meitl, L. Bilhaut, L. Rotkina, J. Wang, P. Geil, M. Shim and J.A. Rogers, “Polymer Imprint Lithography with Molecular-Scale Resolution,” Nano Letters, 4(12), 2467-2471 (2004). Y. Sun and J.A. 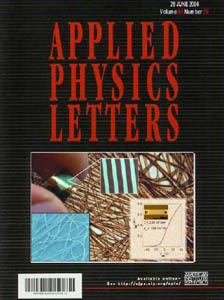 Rogers, “Fabricating Semiconductor Nano/Microwires and Transfer Printing Ordered Arrays of Them onto Plastic Substrates,” Nano Letters, 4(10), 1953-1959 (2004). Y. Zhou, A. Gaur, S.-H. Hur, C. Kocabas, M.A. Meitl, M. Shim and J.A. Rogers, “p-channel, n-channel Thin Film Transistors and p-n Diodes Based on Single Wall Carbon nanotube Networks,” Nano Letters, 4(10), 2031-2035 (2004). M.A. Meitl, Y. Zhou, A. Gaur, S. Jeon, M.L. Usrey, M.S. Strano and J.A. Rogers, “Solution Casting and Transfer Printing Single-Walled Carbon Nanotube Films,” Nano Letters, 4(9), 1643-1647 (2004). S. Jeon, E. Menard, J. Park, J. Maria, M. Meitl, J. Zaumseil and J.A. Rogers, “Three Dimensional Nanofabrication With Rubber Stamps and Conformable Photomasks,” Advanced Materials, 16(15), 1369-1373 (2004). J. Maria, S. Jeon and J.A. Rogers, “Nanopatterning with conformable phase masks,” Journal of Photochemistry and Photobiology A: Chemistry 166, 149-154 (2004). E. Menard, L. Bilhaut, J. Zaumseil, and J.A. Rogers, “Improved Chemistries, Thin Film Deposition Techniques and Stamp Designs for Nanotransfer Printing,” Langmuir, 20(16), 6871-6878 (2004). V. Podzorov, E. Menard, A. Borissov, V. Kiryukhin, J.A. Rogers, and M.E. Gershenson,"Intrinsic Charge Transport on the Surface of Organic Semiconductors," Physical Review Letters, 93, 086602 (2004). S. Jeon, J.-U. Park, R. Cirelli, S. Yang, C.E. Heitzman, P.V. Braun, P.J. A. Kenis, and J. A. Rogers, “Fabricating Complex Three Dimensional Nanostructures With High Resolution Conformable Phase Masks,” Proceedings of the National Academy of Science USA, 101(34), 12428-12433 (2004). E. Menard, K.J. Lee, D.-Y. Khang, R. G. Nuzzo and J.A. Rogers, “A printable form of silicon for high performance thin film transistors on plastic substrates,” Applied Physics Letters, 84(26), 5398-5400 (2004). D.A. Bernards, T. Biegala, Z.A. Samuels, J.D. Slinker, G.G. Malliaras, S. Flores-Torres, H.D. Abruna and J.A. Rogers, “Organic light-emitting devices with laminated top contacts,”Applied Physics Letters, 84(18), 3675-3677 (2004). V.C. Sundar, J. Zaumseil, V. Podzorov, E. Menard, R. Willett, T. Someya, M. Gershenson and J.A. Rogers, “Elastomeric Transistor Stamps for Reversible Probing of Charge Transport in Molecular Crystals,” Science, 303, 1644-1646 (2004). T.-W. Lee, J. Zaumseil, Z. Bao, J.W.P. Hsu and J.A. Rogers, “Organic light-emitting diodes formed by soft contact lamination,” Proceedings of the National Academy of Science, USA,, 101(2), 429-433 (2004). G.B. Blanchet, C.R. Fincher, M. Lefenfeld and J.A. Rogers, “Contact resistance in organic thin film transistors,” Applied Physics Letters, 84(2), 296-298 (2004).